Bill gives individual lessons and he also teaches in groups. 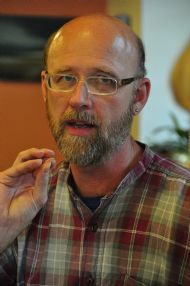 He offers instruction in technique and repertoire for a variety of harp styles, including classical fingerpad technique, historical gut-strung fingernail technique and wire-strung technique. Please send a message for details regarding prices and availability. Students are very welcome to come to Orchard House in Strathpeffer for tuition. Bill often teaches children after school on weekdays and on the weekends. Adults are invited to make arrangements which best suit their schedule. It is not uncommon for adult students to take lessons for a whole day, a weekend, a week or even longer. During the academic year, Bill gives weekly lessons for children in Ross-shire through Fèis Rois, meeting at the Evanton Primary School on Thursday afternoons. Classes are offered for complete beginner, new player and intermediate levels. Parents are welcome to contact the Fèis office on 01349 862600 to enquire about registering children for classes. For over 20 years, Bill has offered 4-day workshops for complete beginning adults in Strathpeffer, sponsored by Ardival Harps. These short courses provide an ideal introduction to playing a wide variety of music on different harps. Students gradually develop techniques which allow them to play medieval music on gut-strung Pictish lap harps, to play renaissance tunes on bray harps with buzzing bray pins, to play Highland tunes on wire-strung clarsachs and to play traditional melodies on floor-standing lever harps. Bill visits students once a month in the Moray Firth area to give 60-min lessons on Saturdays during the academic year. Students in Nairn, Forres and Findhorn are invited to contact him for information. 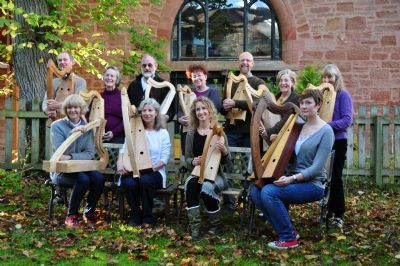 He offers monthly workshops for adult players in the Inverness area, again during the academic year, inviting players of all levels, and all sizes of gut-strung and wire-strung harps. Workshops run from 2-5 pm on Sunday afternoons. Tunes are taught sometimes by ear, sometimes using music, and tend to draw from sources off the beaten track. Please contact Bill for more info. Bill is a leading performer, researcher and teacher of the ancient wire-strung clarsach. For many years he has offered monthly workshops in Edinburgh through the Wire Branch. Players at all levels and with all sizes of wire-strung harps are very welcome to join the group. Please contact Bill for more info. Bill gives an annual 5-day workshop in October for adult wire-strung players, sponsored by Ardival Harps. 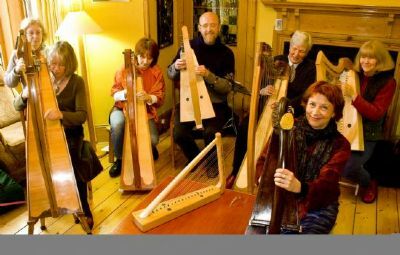 Players of all sizes of wire-strung harps are invited to join the course, which explores ancient Scottish and Irish tunes, along with ways to arrange and decorate them. Please contact Ardival harps for more information on 01997 421260. Bill is frequently invited to teach and perform at festivals in the UK, Europe and the USA. In the UK, he is often present at the Edinburgh International Harp Festival and the Greenwich International Early Music Festival & Exhibition. He has in the past given many workshops for branches of the Clarsach Society, including the Northumbrian, Transpennine and Bristol & West of England branches, as well as regular workshops for the Wire Branch. On the Continent, he has taught and performed in Dinan at the Rencontres de Harpes Celtiques, at the Harfentreffen and the Harfensommer in Lauterbach. In the USA, he has for many years taught at Amherst Early Music, the Madison Early Music Festival, the Historical Harp Society’s annual conference, and the Somerset Harp Festival in New Jersey. Bill is now offering online lessons using Skype. This is especially helpful for students who do not have regular access to a local teacher. Payment for tuition is easily made using Paypal, even for students in different countries. Please contact Bill for more info.